The last few months have been a non-stop burst of trips trailing from Los Angeles to Nashville and Cincinnati (and the roads between) to Istanbul, San Diego, Linz, Venice, London, Florence and more… The biggest difference this summer? More personal trips than work trips! (Though many overlap!) Ultimately it made me realize how insanely picky i’ve become when picking my own hotels… and finding the awesome, not so touristy, fun spots to check out! 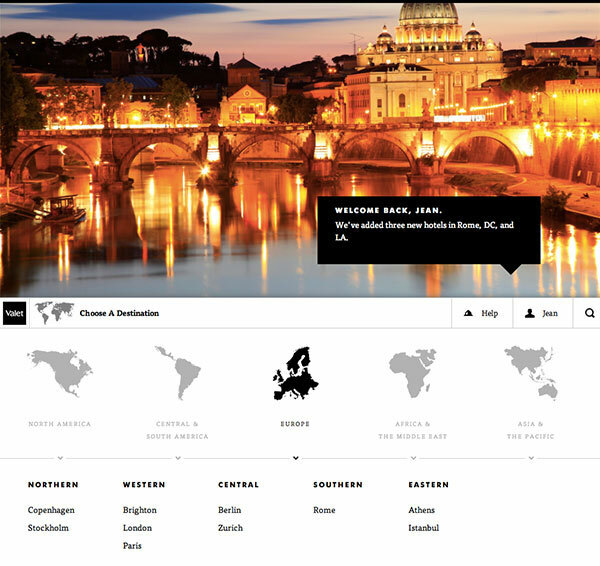 While this is just the beginning, there are nearly 100 hotels in over 50 cities around the globe in the system already ~ and in addition to the New York City guide, Shanghai is right around the corner! Being an exclusive, curated membership site they are looking to build a community for “creative professionals, tastemakers and frequent travelers who appreciate curation, design, and great value over bargain-basement price shopping and recommendations amassed from dozens of anonymous reviews.” And one of my favorite details of their system? On top of special benefits and pricing at some of my usual hotels… no physical card to add to my ever growing wallet! 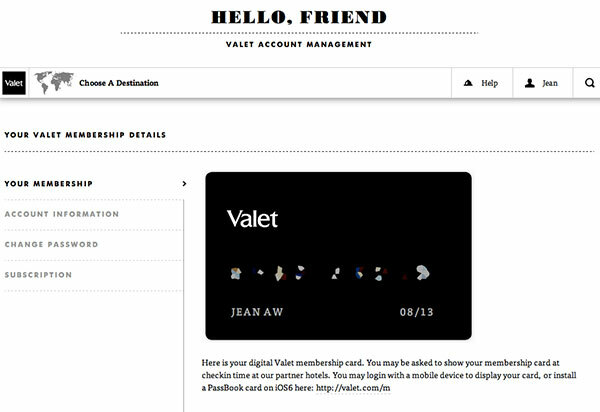 They’ve made their membership cards digital, so you can easily pull them up on your phone/laptop/Apple Passbook. Also keep an eye out for their upcoming iPhone and iPad apps. You can apply here and use the code: NOTCOT to get in early and lock in the launch membership rate of $199/year. 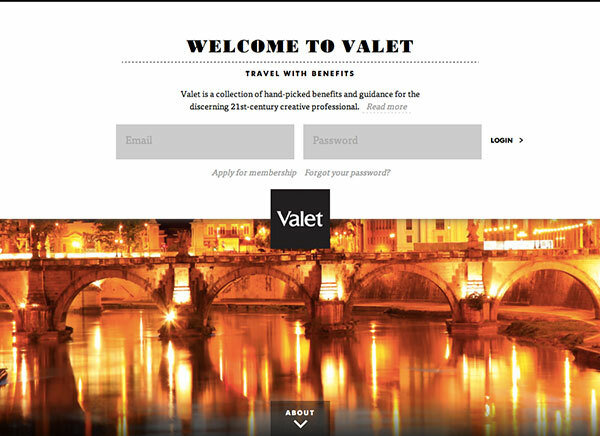 Ready to take a peek at what you can find inside Valet? 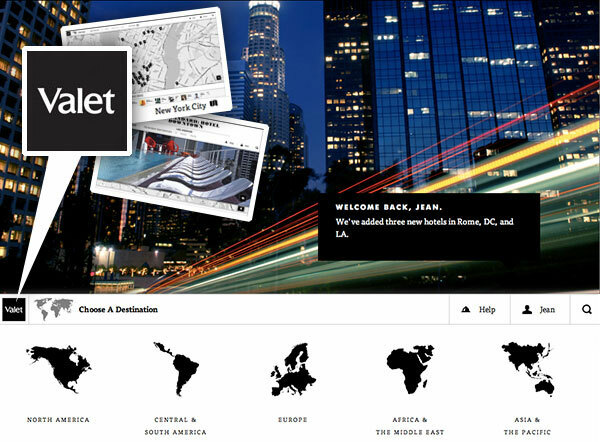 See screenshots for a sneak peek inside Valet on the next page! Valet has simplified my life. Must say travelling is not the same.